Phone-a-thon for the benefit of the Newman Center Community, 6-9 p.m. each day. Home-cooked meal each night for those who help out! Great opportunity for service hours! Adoration and Confession at 7:15 p.m.
Community Night at 8:30 p.m. Food, fun, and fellowship! The Summer in China 2019 program is still accepting applications until Dec. 1! It is a five-week study abroad experience that is convenient, affordable and fun. 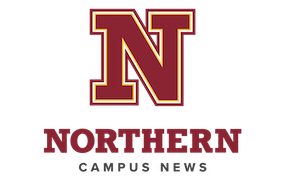 Attend an information session at the Great Plains East conference room on Nov. 5 at 2:30 p.m. or Nov. 8 at 10:30 a.m. to learn more, or email confucius@northern.edu. The CSE Committee is hosting another Walk and Talk at 9:30 a.m. Nov. 6, and the first Tuesday of every month in the Dacotah Hall Gym. It is a great opportunity to meet the group and discuss issues. There will be a drawing for a gift card in May, and chances come from attending each event. Please bring non-marking shoes and your ID for gym access. The Environmental Club is hosting a no plastic movement, No Plastic November! Post a picture on Instagram of how you are contributing to the No Plastic movement. Link your photo with #NSUNoPlasticNovember, and tag @nsu_environmental_club. The picture with the most likes by Nov. 30 will win Environmental Club gear and a $25 gift card to the Wolf Shoppe! The contest runs through Nov. 30. At noon on Wednesday, Nov. 7, the NSU Noon Forum will be "Don’t Get Fooled Again: Humanities and the Real Art of the Deal"; presented by Dr. Liz Sills. Noon Forums take place in the Williams Library Rotunda and are open to all who are interested – students, staff and the public. For more information, contact Dr. Art Marmorstein at 605-626-2608 or marmorsa@northern.edu. Henrietta Leavitt: brilliant, determined, a dreamer; has never much cared for the "status quo." Margaret Leavitt: a homebody, genuine, sweet natured; ability to sing and play the piano a plus. Peter Shaw: reserved, his views have never really been challenged prior to the events of this play; handsome but unassuming. Annie Cannon: a leader, tough, sure, grows into a firebrand for the suffrage movement. Williamina Fleming: Scottish, intelligent, witty, warm and outgoing; the first of her kind. Please prepare a short monologue, or be prepared to read from the play. Rehearsals will begin in January 2019. Test your skills for a second time with Glow Bowl! Glow Bowl is on Nov. 15 at 9:30 p.m. at Village Bowl. Bring $1 and a friend for an exciting night! Contact Janie.Borkowski@northern.edu for any questions. Campus Activities Board is hosting “Fantastic Beasts: The Crimes of Grindelwald” at the AMC Theater on Nov. 16 at 7 p.m. This is a private showing of the movie, and tickets are free! Students must pick up a voucher in the Campus Activities Board Office and show this voucher at the movie to get in. All empty seats will be released at 6:55 p.m. Contact Janie.Borkowski@northern.edu for any questions. NSU Professor of Art and Department Chair Sara Christensen Blair’s new exhibit “LEFTOVERS – PIECING IT TOGETHER” will be open through Nov. 30 in the JFAC art gallery. Regular gallery hours are Monday through Friday, 9 a.m.-5 p.m.